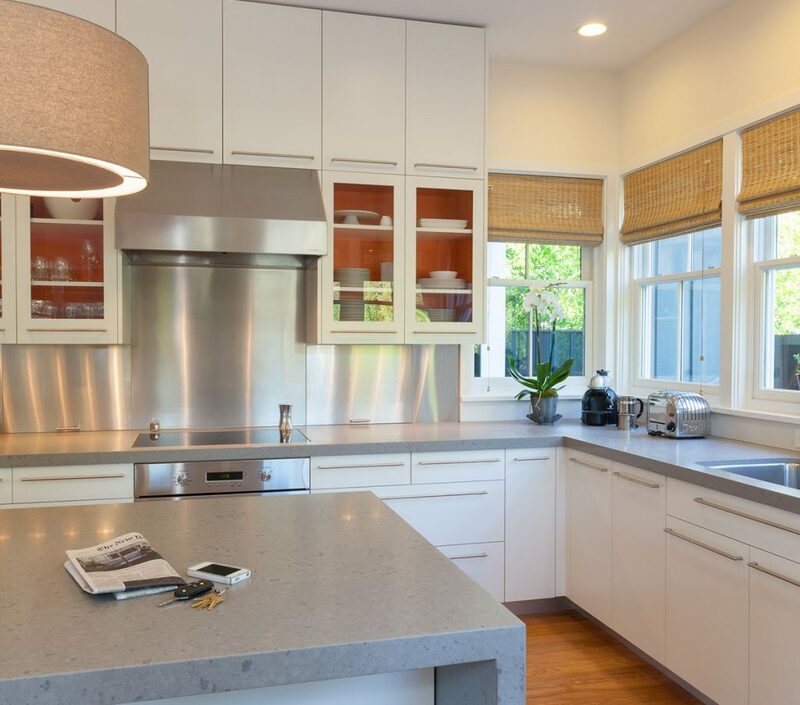 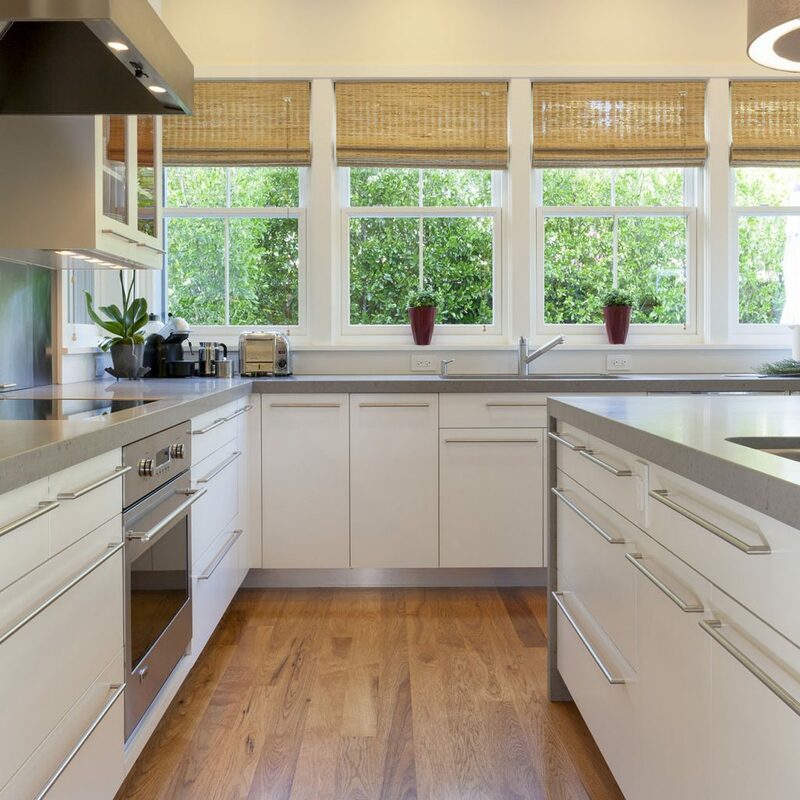 Contemporary kitchen featuring our signature frameless, flat-fronted cabinets. 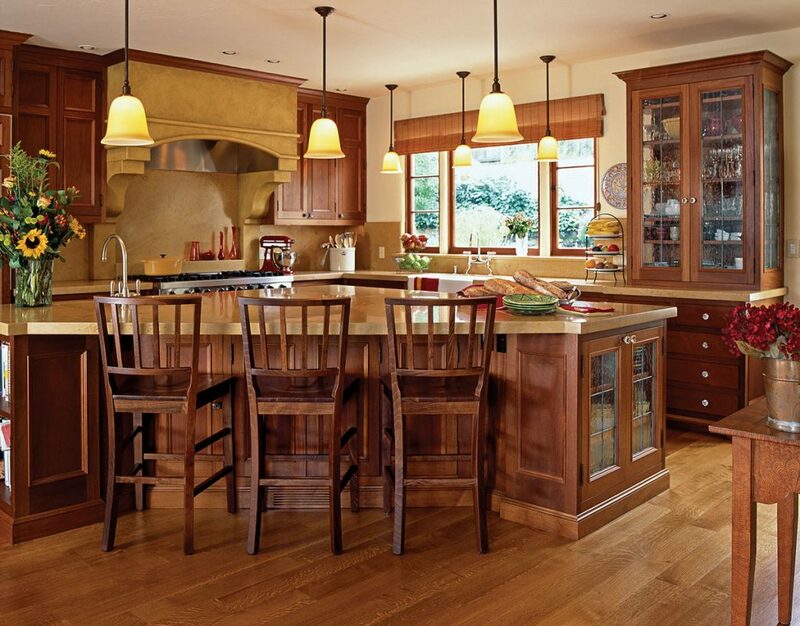 Bookmatched African mahogany laid up on curved kitchen island. 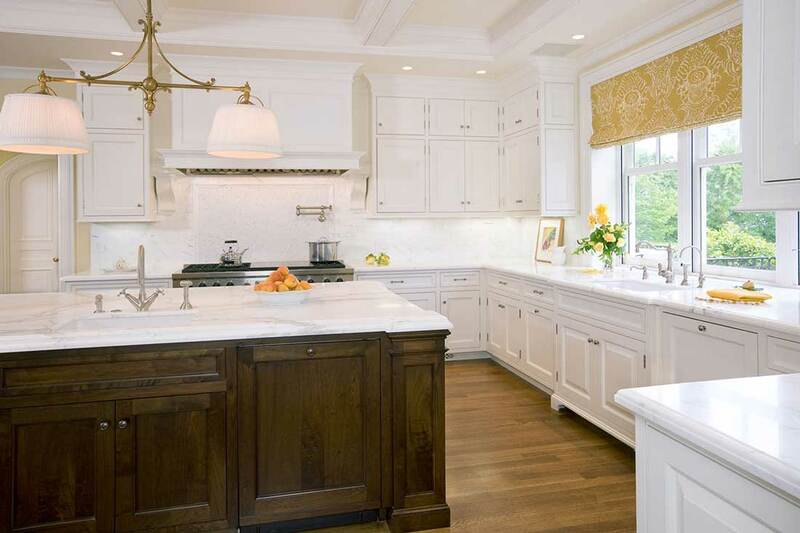 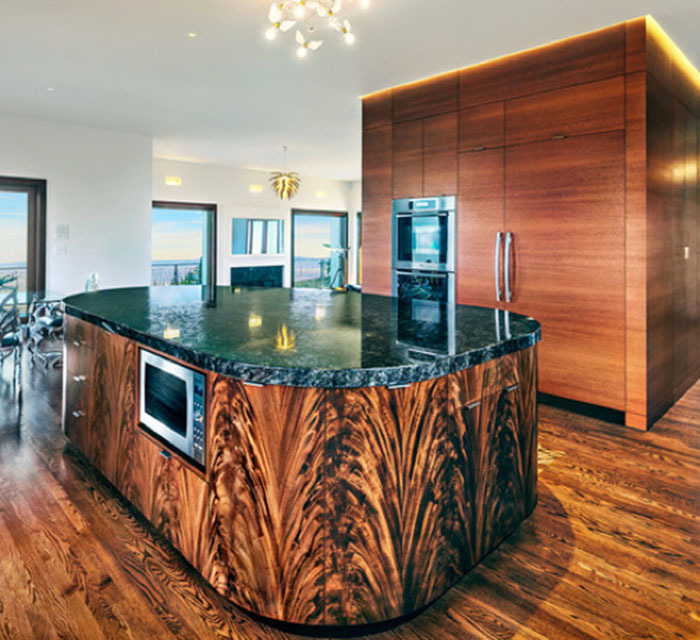 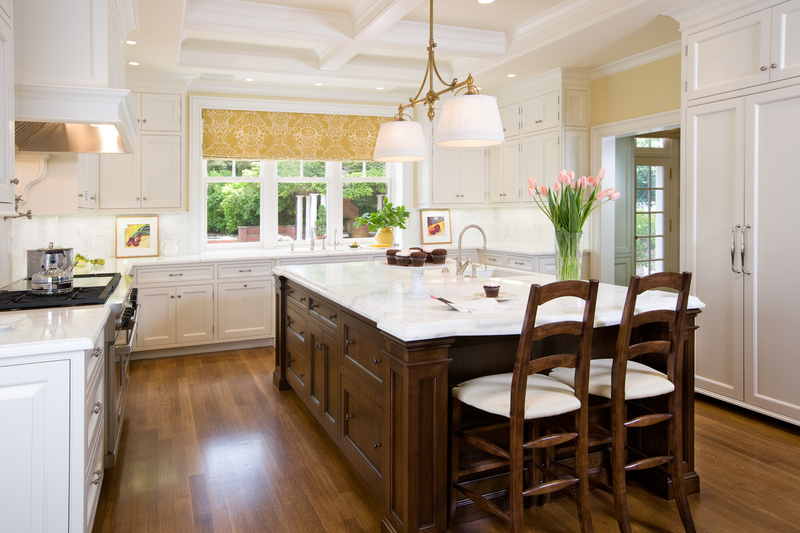 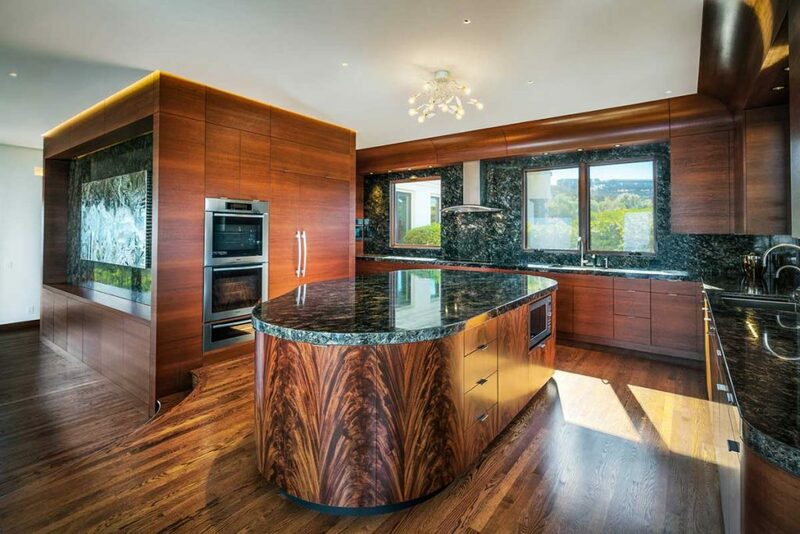 Classic kitchen with walnut island. 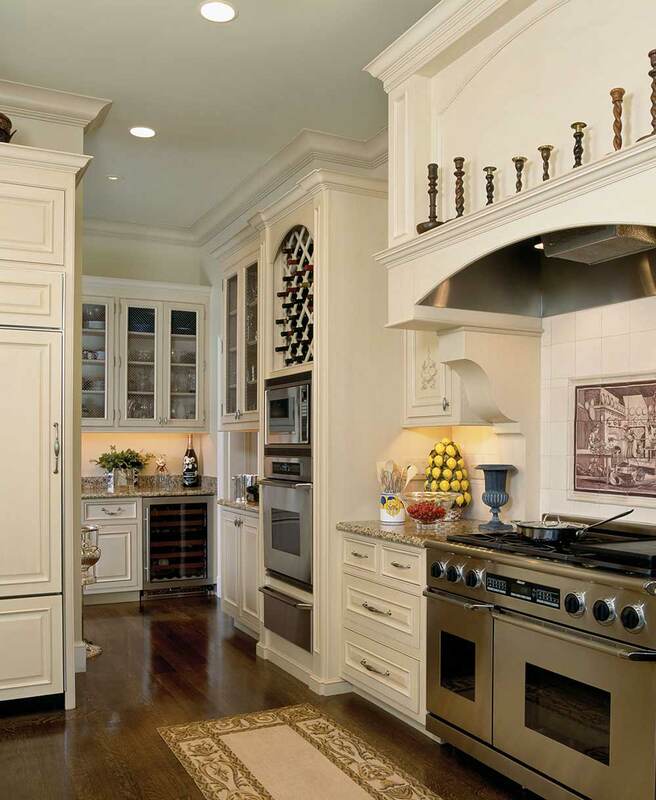 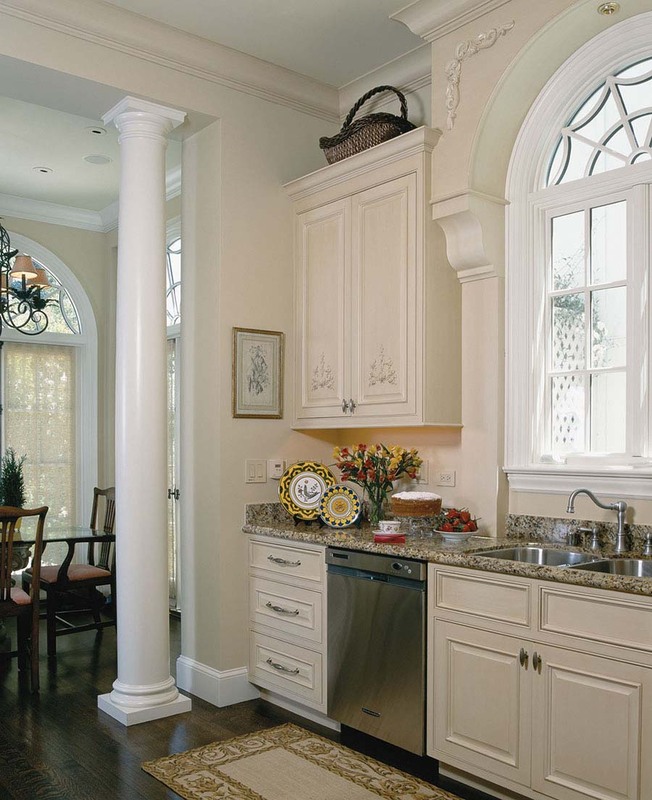 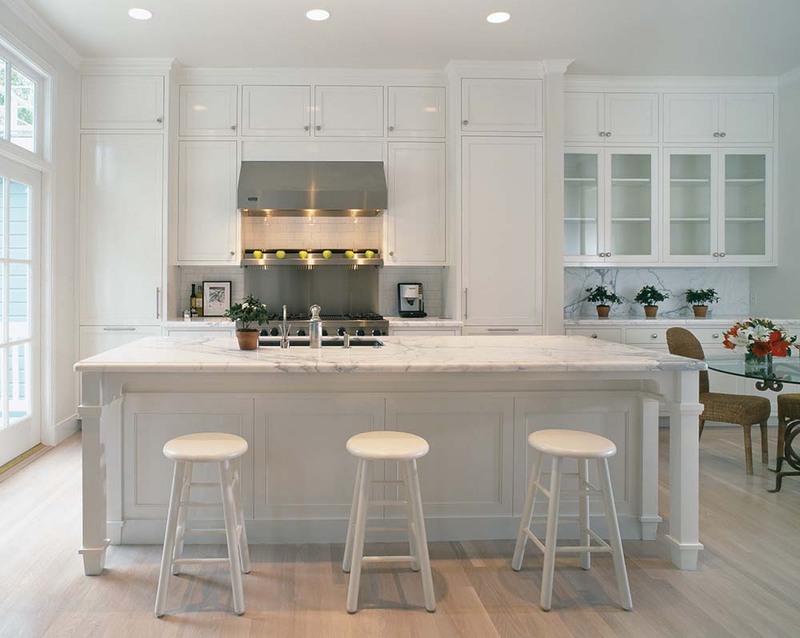 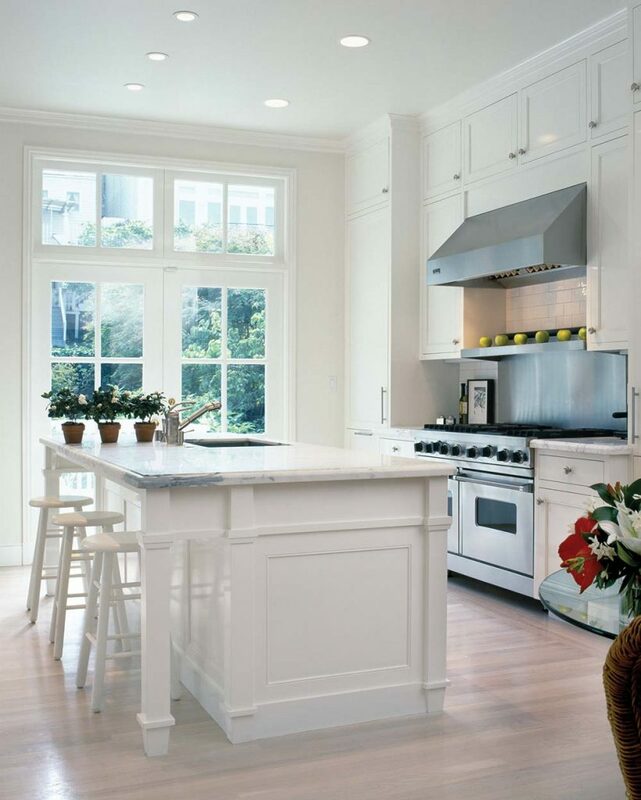 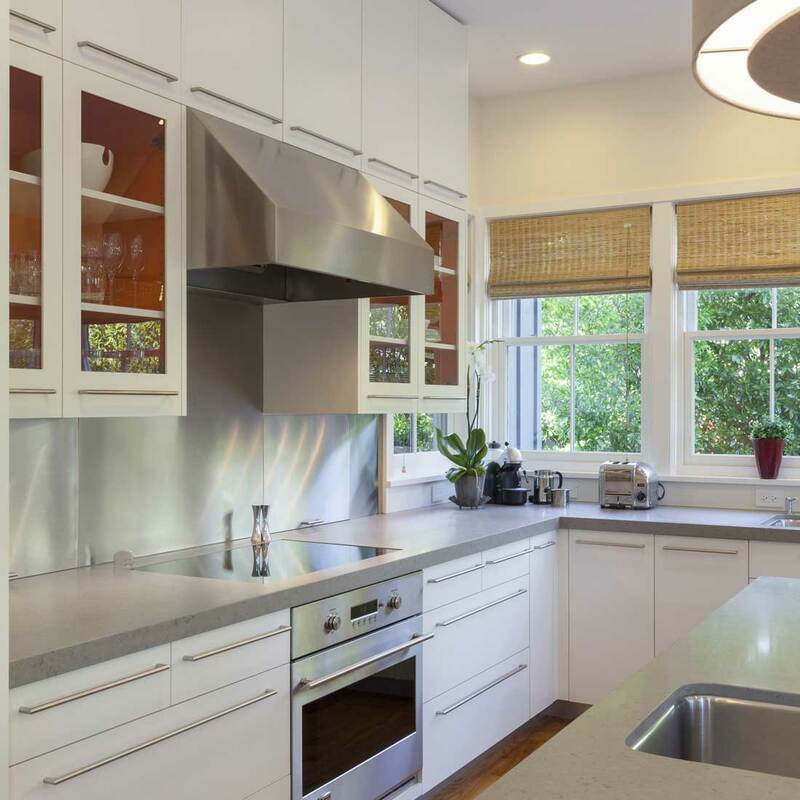 Classic San Francisco kitchen with arched window canopy that houses a recessed light bridge. 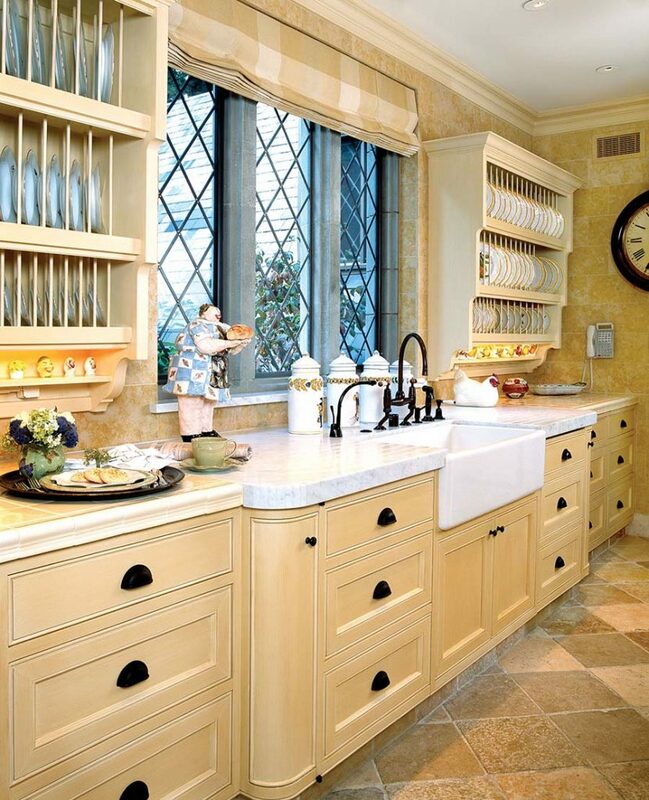 Custom-designed dish racks use dowels in a staggered motif. 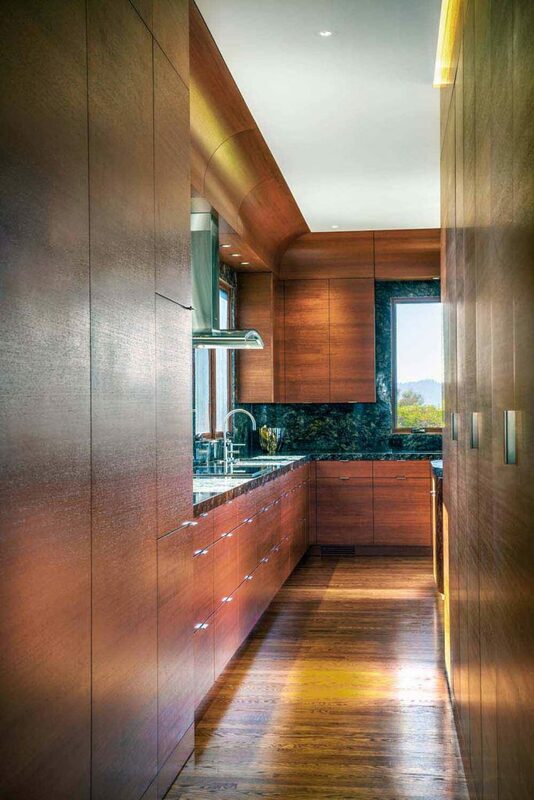 Off-the-kitchen butler’s pantry features built-in cabinet lighting. 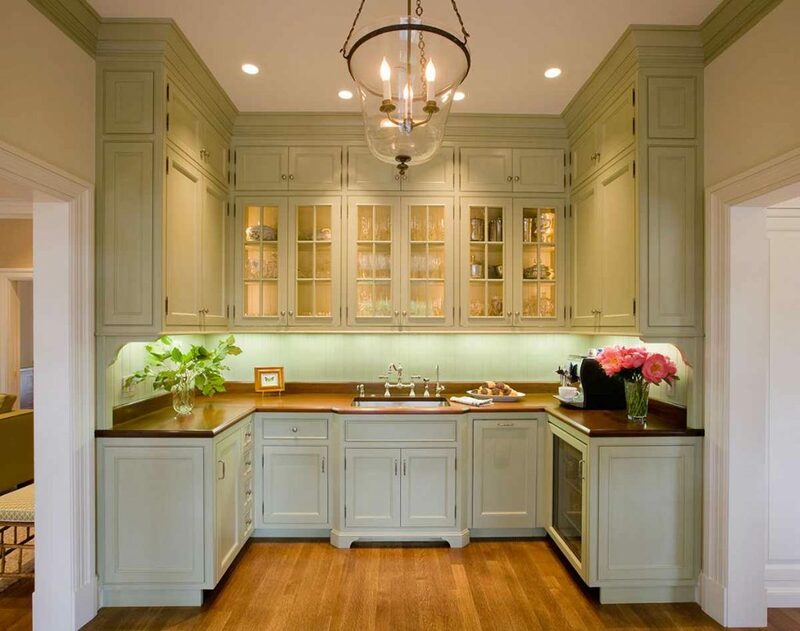 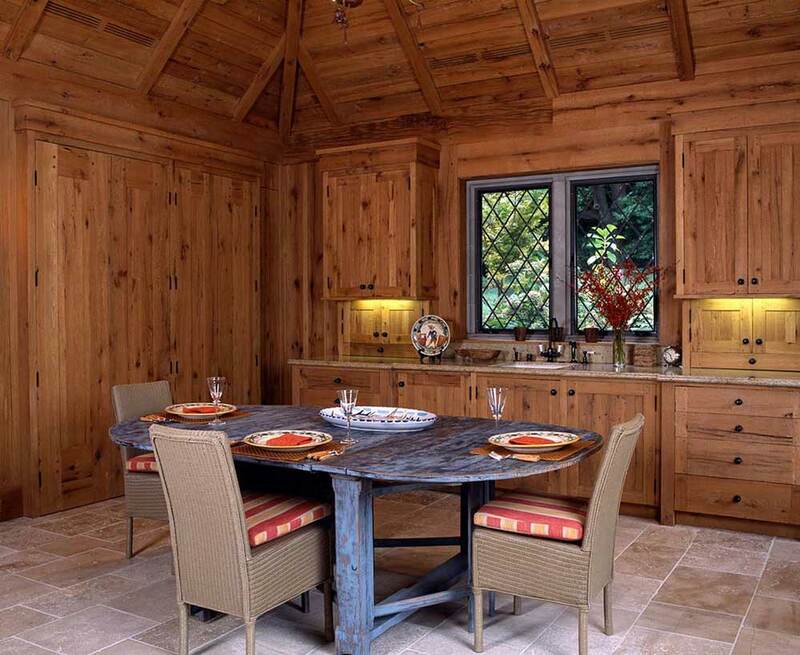 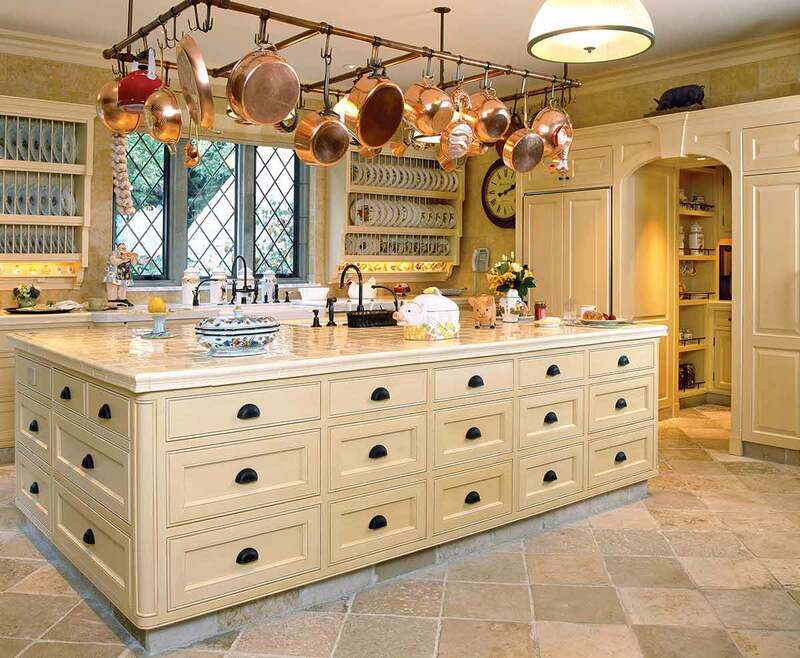 Arts and Crafts Shaker-style kitchen. 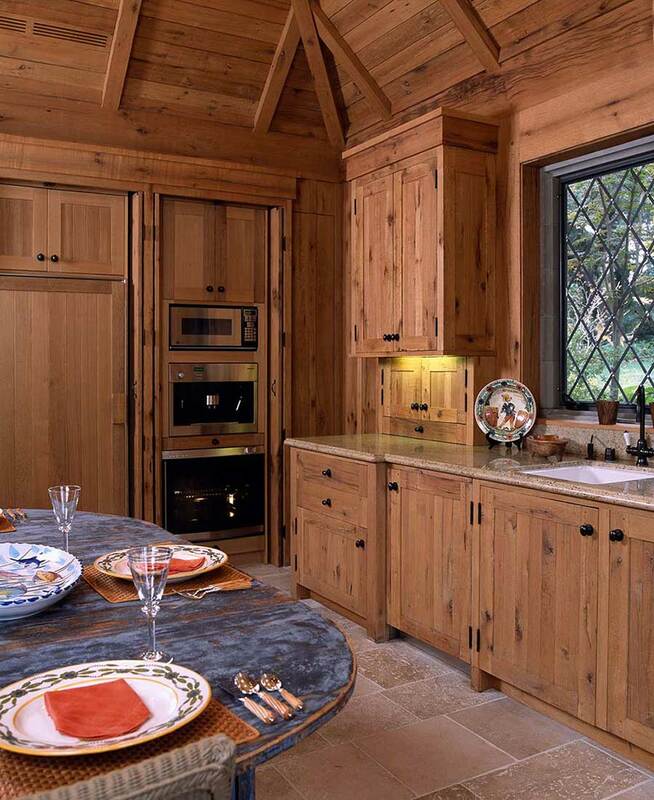 This rustic guest house kitchen features reclaimed oak from an old Midwestern farmhouse.